I often write about mentoring, and recently I learned a new term, reverse mentoring. 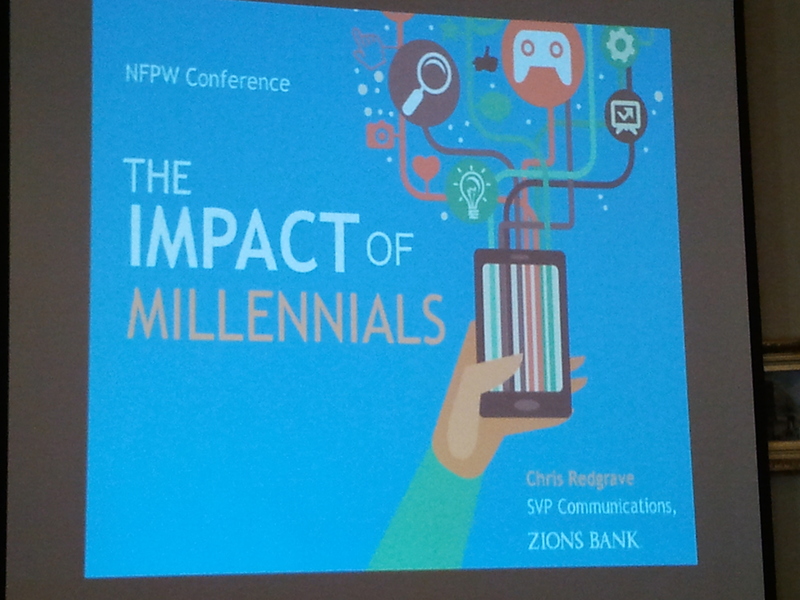 Chris Redgrave, senior vice president of Communications for Zions Bank in Utah, suggested it as an option for Boomers and Generation Xers workings with Millennials. The idea is that instead of the older generation mentoring the next generation, the Millenials would provide the mentoring. At work, I frequently ask Millennials about internet and technology-related issues. So, I thought I might try it with respect to NFPW members. During an online contest discussion, several members had questions about creating PDF documents. I know the basics, but I certainly didn’t want to introduce more confusion. I approached one of our first-timers, who also is a Millennial, and asked if she would be willing to help out. She agreed. By the time I returned home, she already had sent me a document with everything members would need. I think I’m going to enjoy reverse mentoring! During her presentation, Chris shared more than a dozen attributes of Millennials, some I knew, some I didn’t, and they all expanded my thinking. Millennials are confident, connected and adaptable. They are concerned for the environment. 95 percent own computers; 91 percent keep their phone than one meter away whether they are waking or sleeping. 37 percent are unemployed and they do not understand the “pay your dues” concept. They like direction in the workplace because they are used to being told what to do. They do things as a team and they expect to be included. Some of these attributes reinforce approaches I have at work, including providing clear project plans so all members of a project know who is responsible for specific tasks and holding meetings where we all share what we’re working on so we can identify connecting points.